Board of Directors; consisting of board chairman (president of SDRB) and other Board members. The board of Directors is responsible for laying down the policies, managerial and operational procedures of the Bank in accordance with the law establishing the Bank. The president/CEO, the Director General and other Executives management are responsible for implementation of the plans and programs laid down by the Board of Directors. The board will establish a sound system of internal control to maintain financial, managerial efficiency, and safeguard bank assets. The Bank will also have external auditors to insure and certify financial and management standards of SDRB. 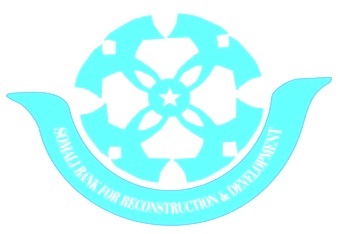 The SDRB owns Land, Farm & Buildings from the old Somalia Development Bank, which are estimated more than US$ 20 Million. The authorized Capital of the Bank is $50 (USD) Million, comprising of: Endowment of (US $ ) 51% for (FGS) and 49% for Somali entrepreneurs, International Private and Institutional Investors. The equity capital of the bank shall be divided into 50, 000 shares of the value of USD 1000 each. The bank shall commence operations once it has 5% of the subscribed capital. The authorized Capital of the Bank shall be divided into one-fifth (1/5) paid in capital and four fifths (4/5) callable capital. The government appointed a President (Abdullahi Ahmed Afrah) and Director General (Abshir Mohamed Isse) as the top two executives of the Bank. The Bank currently operates out of a building located in the Central Bank’s Headquarter in Mogadishu. Additionally, the management has drawn up the legal framework of the Bank and assembled professional staff to carry out the daily operations of the Bank. Corporate Governance: The SDRB is committed to set up fully compliance network with regulated financial system with modern organizational Structure giving formal responsibilities and roles to each of its members. The Board of Directors; consists of board chairman and other Board members, who have a clear cut responsibilities to oversight the activities of the Bank, typically the board chooses one of its members to be the chairman, and within the organization, there are committees among the board members. The board of Directors is responsible for laying down the policies, managerial and operational procedures of the Bank in accordance with the law establishing the Bank.